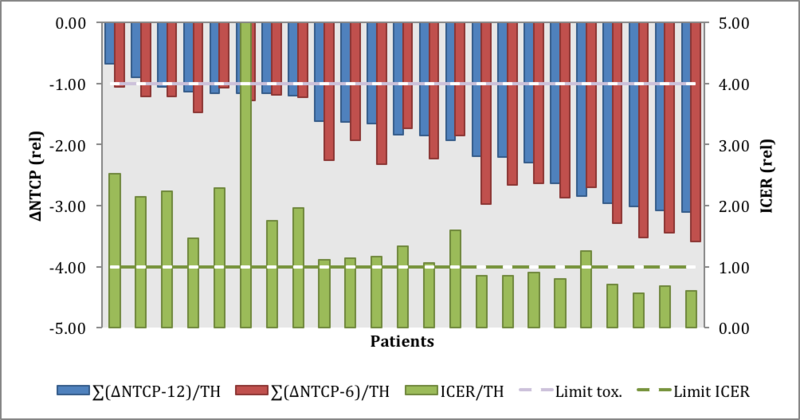 To quantitatively assess the effectiveness of proton therapy for individual patients, we developed a prototype for an online platform for proton decision support (PRODECIS) comparing photon and proton treatments on dose metric, toxicity and cost-effectiveness levels. An evaluation was performed with 23 head and neck cancer datasets. Overview of the online PRODECIS system set-up. Two parallel pipelines do the photon and proton calculations.